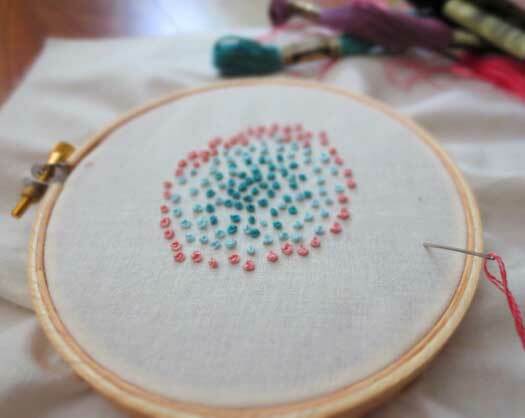 I've been trying to master french knots of late and find them very relaxing to make. It's almost hypnotic wrapping the thread and carefully pulling the needle through the fabric to cinch the floss. Here is my favorite tutorial at Sublime Stitching on how to master the knot.